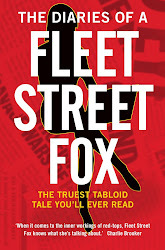 fleet street fox: Good God, y'all. WE intervened in Iraq. That went well. We intervened in Afghanistan. Total success, of course. We intervened in Libya, and it's a land of milk and honey these days. Last week a bad man did a bad thing for, we reckon, about the 14th time and this evening our representatives will be asked to vote on the principle of military intervention in Syria. Now, I shouldn't need to point out our record of intervening in other nations' conflicts is not exactly great. We all know that, and our newspapers have spent the past week reminding us. Nor should it be necessary to rehearse the fact that using chemical weapons is illegal under international law, and that if whoever does so isn't rapidly punished they'll more than likely do it again. The consequences of attacking Syria could include enraging a madman, provoking an attack on British bases on Cyprus, helping Al Qaeda to seize power, fomenting terrorism, and creating a power vacuum which leads to several decades of vicious sectarian conflict. The consequences of not attacking Syria involve having to watch more civilians be gassed, the collapse of international law, loss of diplomatic clout and power, and having to watch Al Qaeda seize power anyway. It's a poser, no question. We've got to do something, but we can't get involved. It's like a hornet's nest in the bathroom you've got to get rid of somehow without going anywhere near it. What would be handy at this point would be a thorough investigation of where exactly we went wrong with those previous conflicts so we can learn from our mistakes and perhaps hit upon an efficient method of making sure we don't get sucked into a bog of screaming fundamentalists and moral responsibility for other people's problems. And we've got one. It's cost us £8million and taken four years and might, just might, be the most useful thing Gordon Brown ever did because it ought to show us the way to solve crimes against humanity without committing any of our own. But we're not allowed to read it. Sir John Chilcott has taken all the evidence, weighed it, written it down with an introduction and a conclusion and probably a few pie charts, but there's ruckus over who's been criticised and what needs to be redacted and no-one's going to be allowed to see it until at least 2014. By which point, I bet you my last Jaffa cake, Syria will be a place so unsafe that journalists can't write about it any more, all the MPs debating it tonight after a quick glance at Wikipedia will be trying to forget it ever existed, and Tony Blair will still be on a yacht somewhere. Considering this is a report into a war which began a decade ago, considering the main people responsible are no longer in power in either the US, UK or Iraq, and considering the fact we've since screwed up in Libya, entered negotiations with the Taliban and have more than a passing chance of provoking World War Three by going toe-to-toe with Russia and China over Syria, you'd think someone, somewhere, would have the wit to tell John Chilcott to hit 'print' and be damned. At the very least show it to David Cameron and provide someone to explain the big words. I mean, COME ON. The very definition of madness is to keep doing the same thing and expect a different result. And the only reason the human race is still here is because people have learned from past mistakes and striven to be better than they were. Are we really going to ignore both of those things and rely on Ed Miliband to be the nation's sole voice of reason? We're not going to get any of that, of course. We're going to get 'surgical' missile strikes on Syria on limited evidence and with inevitable civilian casualties, and what happens after that can't be predicted beyond saying it's going to be a bloody great mess. But wouldn't it be nice, one day, if we could say 'we intervened, and made the world a better place'? No-one's ever said that about arbitary weapon strikes for which every single one of the likely outcomes is bad.